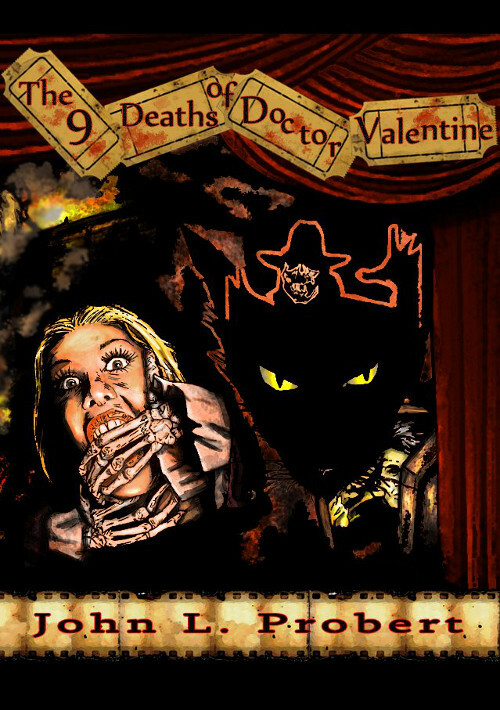 13 Ghosts & Nine Deaths of Dr. Valentine: special offers! As we mentioned a couple of blogs ago, there will be no Christmas Ghost Story annual this year, due to moving house and all the disruption that entails. As recompense we are offering anyone who didn’t buy last year’s edition the chance to get copies at a great price and, if you live in the UK, then postage is free. Checkout the prices below! We also have a very limited number of the hardbacks left (fewer than TEN copies) – if you want one then please contact us at spectralpress[AT]gmail[DOT]com for details. Hardbacks will be sold on a first come, first served basis. Get your paperback copies of this British Fantasy Award-winning novella from the inimitable John Llewellyn Probert at a ridiculously cheap price – get them now before Dr. Edward Valentine hears about and plans something suitably gory as a riposte. 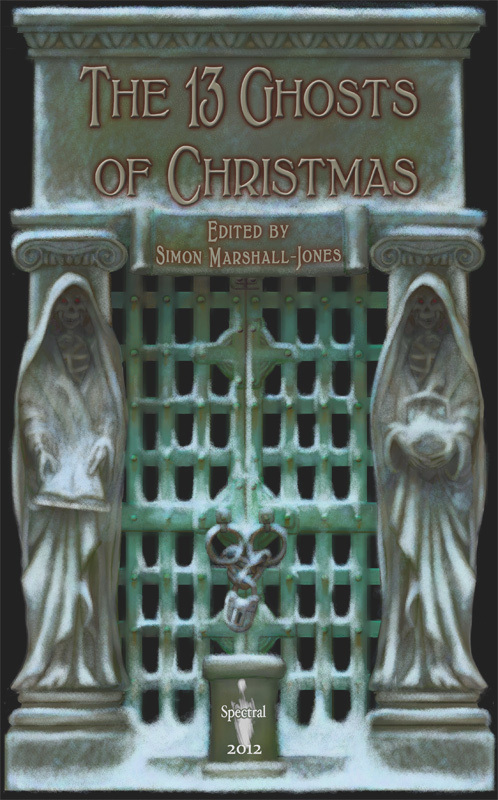 This blog post is for all those who have ordered the paperback edition of The 13 Ghosts of Christmas: due to an administrative error on our part, the books will not arrive here at Spectral Towers until next week. As soon as they do, however, they will be despatched to all purchasers. We apologise for the delay and for any inconvenience caused – emails will be sent to all those who bought a copy. THE HARDBACK EDITION IS BEING DELIVERED TOMORROW! Look forward to hearing from you soon!! We have just been informed that the printing company we’re using to produce The 13 Ghosts of Christmas are currently behind with orders and so the book won’t be delivered to Spectral until WEDNESDAY 19TH DECEMBER. WE WOULD LIKE TO PROFOUNDLY APOLOGISE FOR THIS AND FOR ANY INCONVENIENCE CAUSED – THIS IS COMPLETELY OUT OF OUR HANDS. WE HERE AT SPECTRAL ARE EXTREMELY SORRY THAT THIS HAS HAPPENED. This morning we bring you the latest promotional video, by Rude Dude Films, for the December Spectral chapbook, The Way of the Leaves by David Tallerman. This one captures the tone of the story perfectly – so hats off to Rude Dude for this atmospheric effort! Enjoy! Next up is this review for The 13 Ghosts of Christmas over on Heathen Harvest, a webzine normally devoted to some of the more out there areas of the musical universe. Simon Marshall-Jones, Mr. Spectral himself, wrote for them for a couple of years whilst he was involved in running a record label, so this somehow feels like coming home for him. Anyway, if you want to read what they had to say about this volume, then click here. Next up is Serendipity Reviews‘ assessment of The 13 Ghosts of Christmas, the first in what is hoped to be a revival of an old tradition – a yearly volume of midwinter spooky ghost tales,to be read aloud to a group of celebrants on Christmas Eve (preferably in front of a roaring log fire, with a glass of port in hand and the faithful hound sleeping on a cosy rug by the grate). Anyway, if you want to know whether the thirteen stories in this collection achieved what they set out to do, then go here to read the write-up. More reviews coming soon – onwards and upwards! Well, this is what we’ve nervously been waiting for – the very first review of the first Spectral Press Christmas Ghosts Story Annual, also known as The 13 Ghosts of Christmas. The honour of posting that first write-up is Walt Hicks of The Hellbound Times, someone who always ties with Jim Mcleod of The Ginger Nuts of Horror to get the first reviews of Spectral Press titles posted. Anyway, please direct your cursor this way and click here to read what Mr. Hicks has to say about the anthology. There are fewer that 30 copies of the book left at present – for more details on pre-ordering the hardback edition, please refer to the previous post. Paperback orders should start from next week! Going back to The Ginger Nuts of Horror, Jim Mcleod will be running a series of short interviews on the blog with each of the contributors to 13 Ghosts, starting tomorrow (1st December) with your friendly neighbourhoood publisher, Simon Marshall-Jones. The author interviews will run in the order in which they appear in the book, and each one will be accompanied by a review of their story. The web address to the blog is here. More reviews and news soon! !